Want a commercial pilot certificate? Getting one doesn't mean you can just start charging passengers for flying. Here's how you can stay out of trouble. We talked to aviation attorney Professor Brett Venhuizen from the University of North Dakota to narrow down some of the most common downfalls. Tom asks you to fly him to Spokane, Washington so he can pick up his new car. He offers to pay you $150 for the flight and expenses. Can you do it? Of course not! Unless you're operating under an air carrier certificate, you'd be flying an illegal charter. 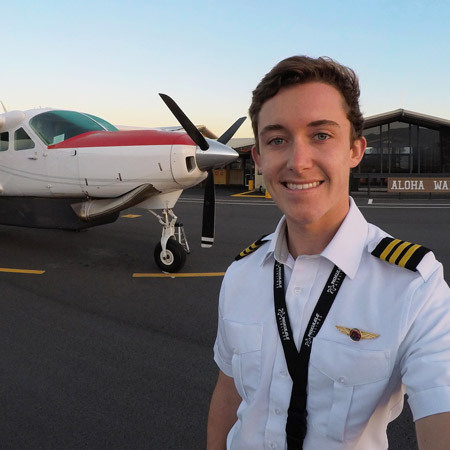 Becoming a "commercial pilot" doesn't mean you can fly for hire on demand. If you want to know more, reference FAR 61.133. All medical certificates are "valid" for 60 calendar months (24 months if you're above 40 years old), but that doesn't mean you're in the clear. Let's say you received a 2nd class medical certificate, which gives you the privileges to act as a commercial pilot. After 12 calendar months, you'll need to renew your 2nd class medical, even though for 60 calendar months you can exercise private pilot privileges. If you want some fun reading, check out FAR 61.23 for more! Banner towing and aerial photography are two professions that require a commercial pilot certificate but not necessarily an instrument rating. Your safest bet? Get that instrument rating! If you're a commercial pilot for a private owner, know your regs. You should understand what your legal limitations are when flying under Part 91. Part 91 is generally lenient, but you need to understand where flying for an owner is no longer "for their purpose" and becomes a charter or cargo operation. 5) Even Flying Drones Can Get You Into Trouble! If you break the FARs when flying drones, your commercial certificate could be on the line. Click here for an example. In summary, your level of responsibility increases dramatically when you become a commercial pilot. As you begin flying people around, the FAA tightens down regulations to ensure the safety of the flying public. Remember that anything you do or say might be recorded by passengers. That means pay close attention to cloud clearances, MVFR conditions, and airworthiness. If you want to keep your certificates, follow the regs and always fly knowing that other people are putting their full trust in you. What are other ways commercial pilots get into trouble? Tell us in the comments below.